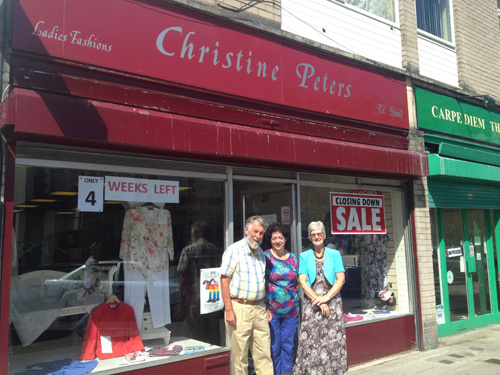 Christine Peters is a well-known name in the ladies’ fashion world of north-east Bristol, having been trading in the area since 1980. 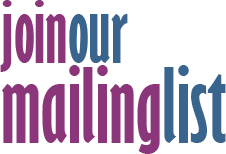 They have had branches in Fishponds, Winterbourne, Downend and Staple Hill, all of which have had a reputation for selling quality fashion for ladies at reasonable prices. The branch in Staple Hill has been open for the last five years, the success of which is mainly due to the contribution of buyer, Mrs Marion Coombe, and sales lady, Mrs Pam Summerhayes. The proprietor, Mr Peter Davies, is retiring this summer and, consequently, all stock has been reduced for a fantastic closing down sale. However, good news for north-east Bristol is that Pam is taking over the business. This means that local ladies will still be able to buy clothes that are somewhat different from those offered at the chain stores. The shop will continue to offer diverse styles from many fashion companies, including the famous maker ‘Poppy’, exclusive to Pam in Bristol. Peter would like to take this opportunity to thank all his customers for their loyal support over the years and to wish Pam every success in her new business venture.